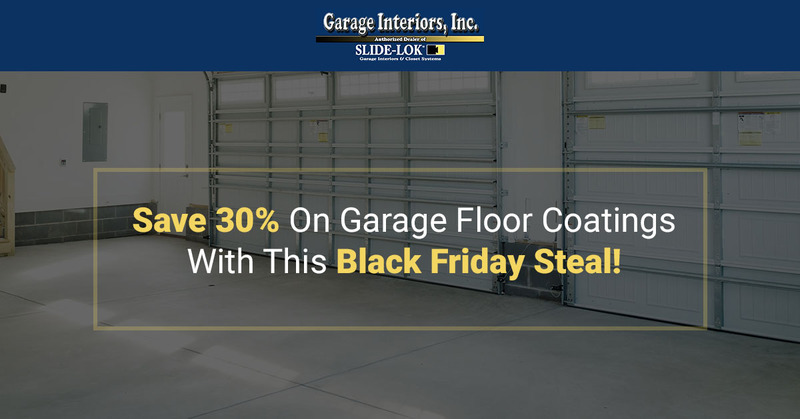 Garage Floor Coating In Southeast Wisconsin - Save 30% On Garage Floor Coatings With This Black Friday Steal!Garage Interiors, Inc.
Save 30% On Garage Floor Coatings With This Black Friday Steal! As homeowners, we are always looking for home improvement ideas, such as kitchen remodels and house painting projects, but we aren’t always willing to spend the money on storage spaces, like the garage. 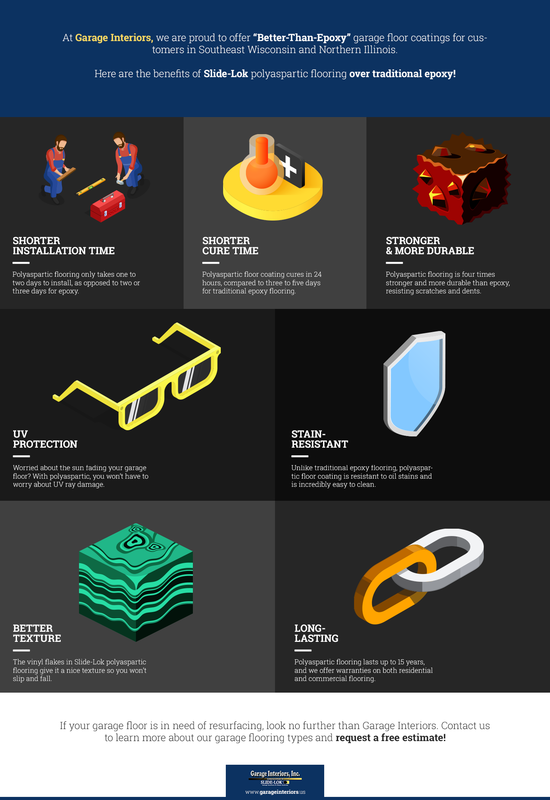 In reality, your garage is one of the most important parts of your home, and it can be used for many different purposes if you invest a little money into keeping it in good shape. All it takes is the desire to maximize your space and give your garage a unique purpose so it’s worth spending money on. Whether you park your cars, boat, or camper in your garage, use it as a woodshop, or simply store miscellaneous belongings there so they don’t clutter other parts of your home, your garage shouldn’t be neglected. In fact, having your garage floor resurfaced every 10 to 15 years can increase the value of your home — especially if your old garage floor had cracks, stains, delamination, or UV fading. Plus, it doesn’t have to cost a fortune to have your garage floors coated, and lucky for you, we are offering an exclusive deal on our garage floor coatings! Our Black Friday/Cyber Monday deal includes markdowns of more than 30 percent on garage floor coatings, reducing them to just $4.50 per square foot. This deal does not include patch repairs; however, we can do that, too, at an additional cost. Given the exclusivity of this deal, we are requesting a non-refundable deposit in advance and asking customers to select specific calendar dates only. Contact us to learn more, and book your discounted garage floor coating service with Garage Interiors on Calendly! We offer our services for customers in Franklin, Brookfield, Menomonee, Pleasant Prairie, Waukesha, WI, as well as in Grayslake, IL.